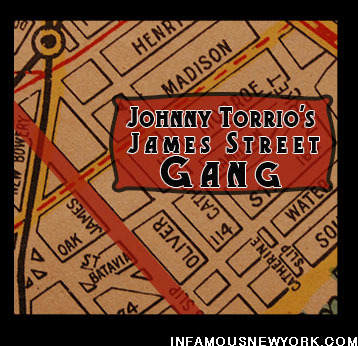 Before the St. Valentine’s Day Massacre and Prohibition put him on the map, Al Capone received his bachelor’s degree in gangsternomics courtesy of Johnny “The Fox” Torrio, a future mafia chieftan who got his start as the leader of the James Street Gang. A dormouse of a man with button eyes and a nose like a thimble, Torrio could only be described as one of the finest criminal mastermind’s of the 20th century, and it all started on James Street, a tiny sliver of a street that is one of the last remaining vestiges of the old Corlear’s Hook neighborhood. Life in crime came early for Torrio. 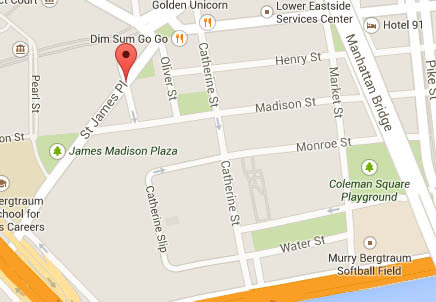 As a boy he worked in his stepfather’s illegal moonshine den at 86 James Street. In 1904, the urchin started promoting boxing matches, where he met the bantamweight fighter and gangland kingpin, Paul Kelly. 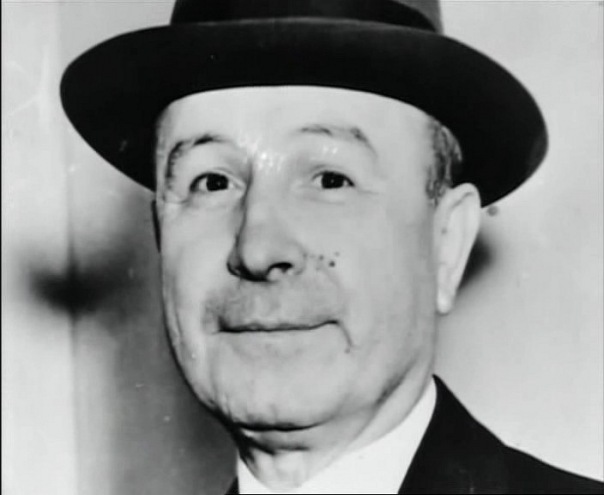 Kelly, a suave racketeer whose real name was Paolo Antonini Vacarelli, captained the Five Points Gang, a mob that ran Little Italy and fixed elections for Tammany Hall. Much of James Street was demolished during the 1940s. Kelly took an immediate liking to Torrio, teaching the young gangster how to dress, speak, and steal. 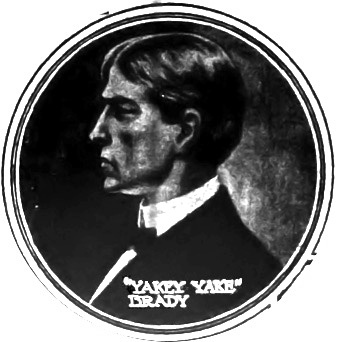 In return for his mentorship, Torrio founded a Five Points auxiliary called the James Street Boys to aid Kelly and the Yakey Yakes during the Eastman Wars. 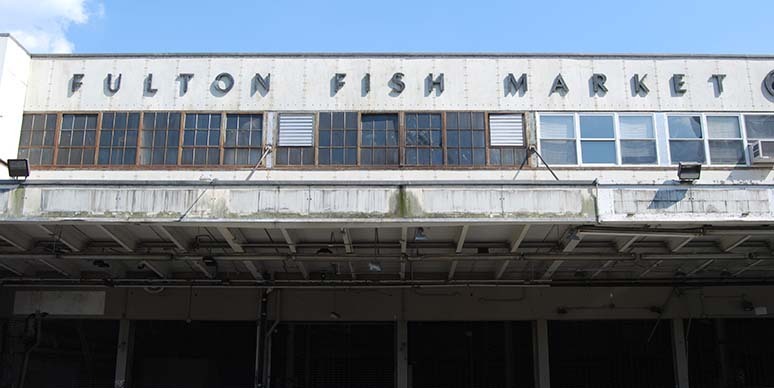 From there “The Fox,” moved on the Irish controlled Brooklyn Navy Yard with the help Frankie Yale and a teenaged enforcer named Al Capone, whom Torrio introduced to the Manhattan underworld through his James Street connections. Torrio gave up his mini- New York empire when Chicago’s prostitution overlord, Big Jim Colosimo, requested Torrio’s aid to protect his Windy City whorehouses. 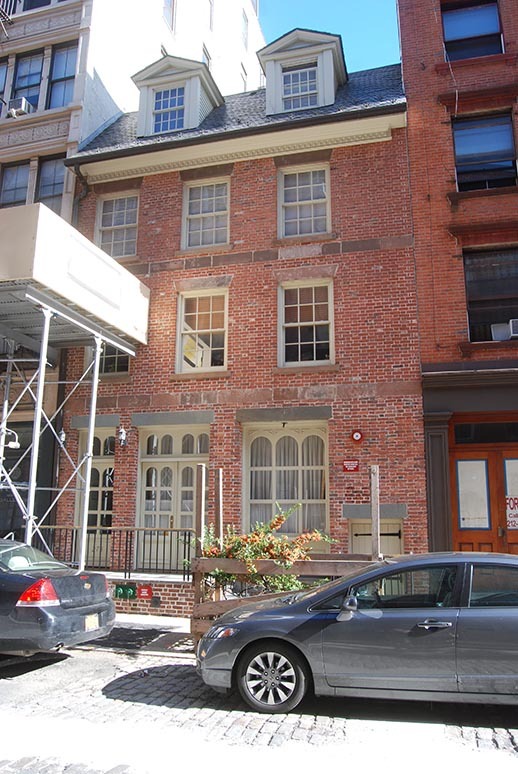 “The Fox” left New York but always remembered his roots by importing James Streeter gunmen like Roxie Vanella (https://infamousnewyork.com/2013/09/27/the-mayor-of-james-street-robert-roxie-vanella/ ) and Frankie Yale to do his dirty work. Torrio called for Capone in 1921, and the pair went on to make gangland history. 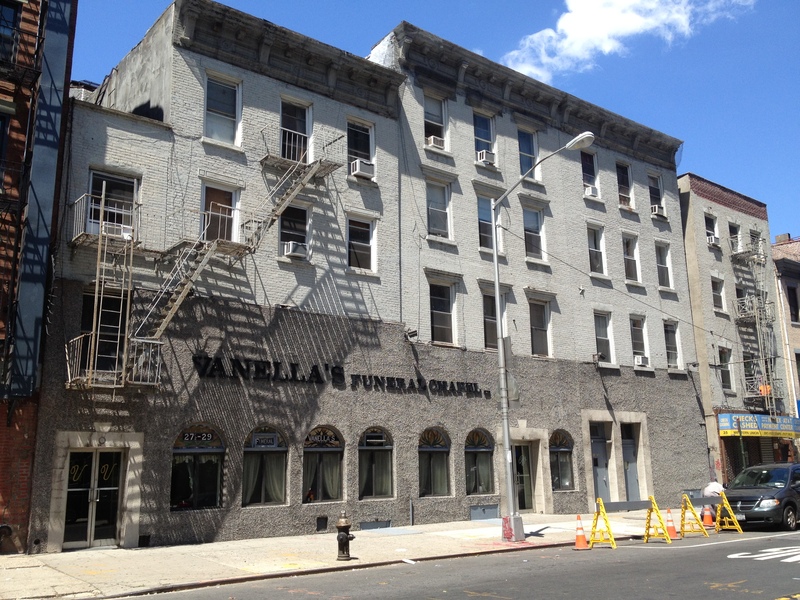 Reformed gangster and member of Johnny Torrio’s first gang, Roxie Vanella opened this funeral parlor at 29 Madison Street. He was the King of the Ragpickers and the Mayor of James Street. He knew judges and congressmen, and was a personal friend of Johnny Torrio, Al Capone, and Presidential Candidate Alfred E. Smith. 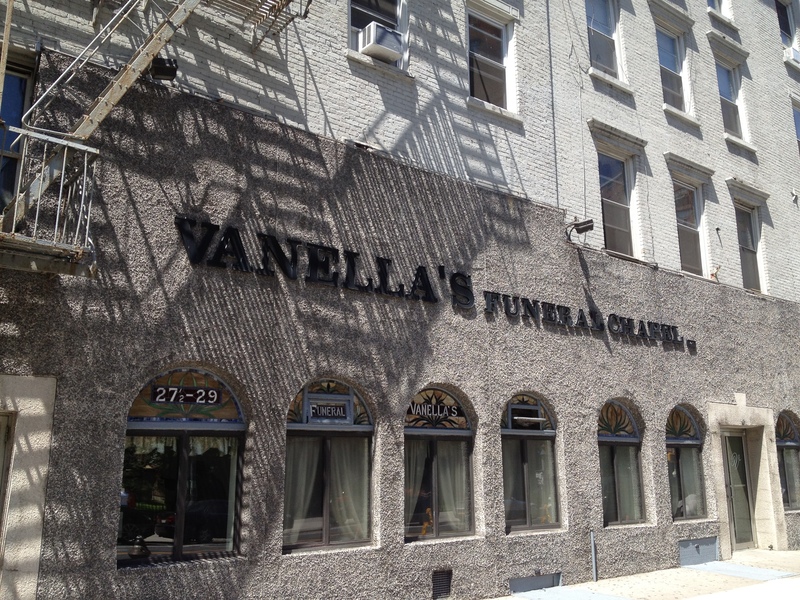 His name was Robert “Roxie” Vanella, an ex-gangster turned prohibition-era undertaker who was the namesake of Vanella’s Funeral Chapel located at 29 Madison Street in one of the last-vestiges of the old Corlears Hook neighborhood. 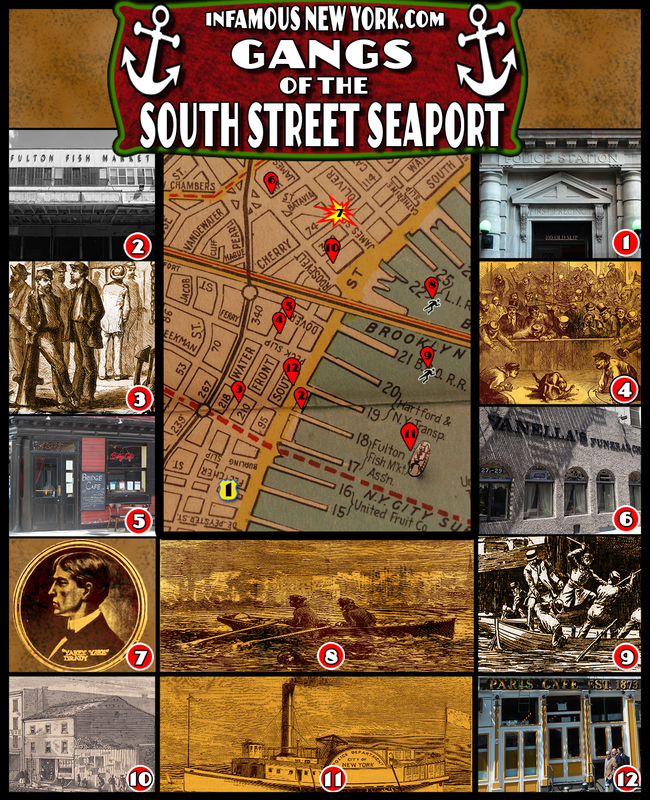 He became best friends with Johnny Torrio, whose stepfather ran an illegal moonshine still across the street from Vanella’s home, and together they founded The James Street Gang, an East River auxiliary for Paul Kelly’s Five Pointers. By 1907, the duo had parted company. 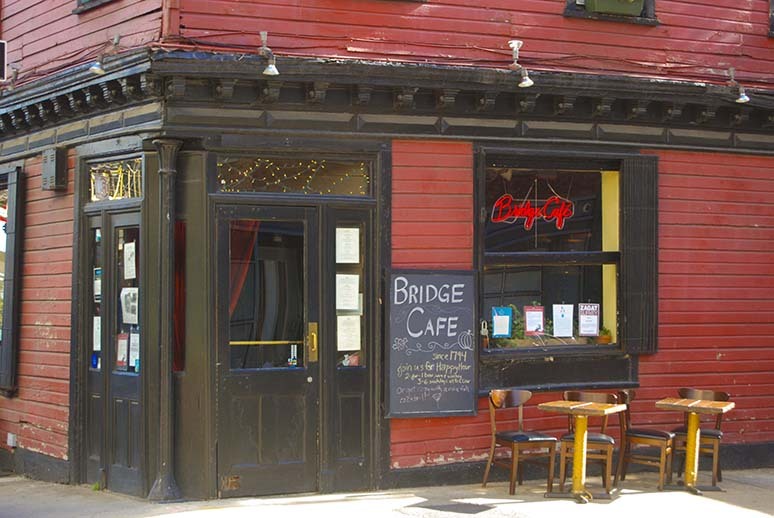 Torrio relocated to Brooklyn, while Vanella moved to Montana, a strange place for an Italian from New York to say the least. While he was in the Big Sky State, Vanella’s traveling companion suddenly died of an acute gunshot wound to the head. Vanella claimed it was suicide and the cops claimed it was murder. The jury believed the cops, and they slapped Vanella with life in prison. 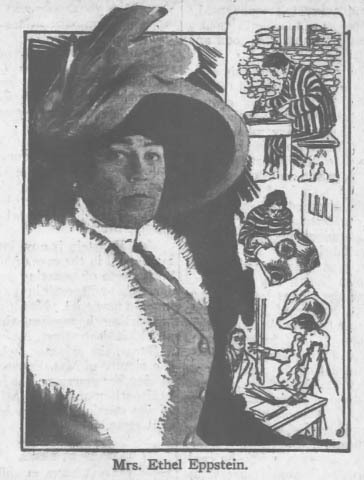 After serving seven years in the Deer Lodge Penitentiary, Ethel Eppstein, a socialite prison reformer investigated Vanella’s case and found that he had been convicted on circumstantial evidence. In 1914, the state granted a re-trial and the New York gangster walked out a free man. After beating a life sentence, Roxie headed straight for Chicago where his old pal, Johnny Torrio, had become a big thing, managing Big Jim Colosimo’s brothel empire in the Levee District.It didn’t take long for the slugs to start flying. 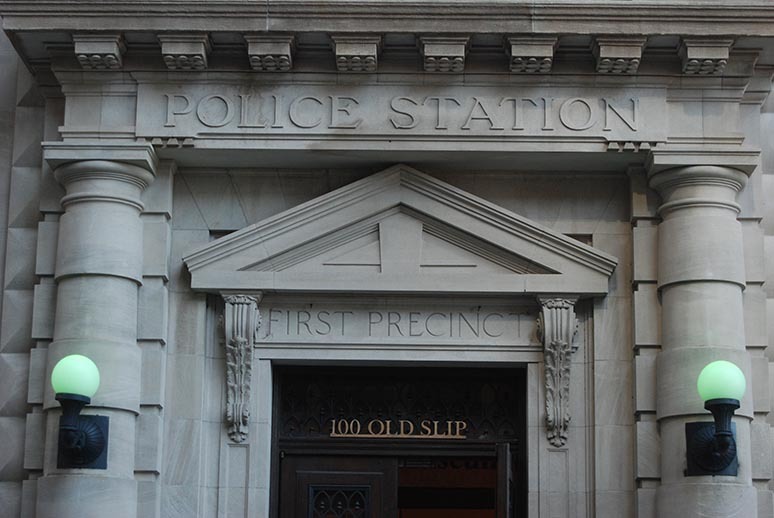 Roxie and Torrio kicked off a shootout that left a policeman dead and Vannella wounded, but once again, Roxy beat the charges. However, after dodging two life sentences in a seven year period, the gangster smartened up and went straight. Click to read the newspaper story on Vanella. 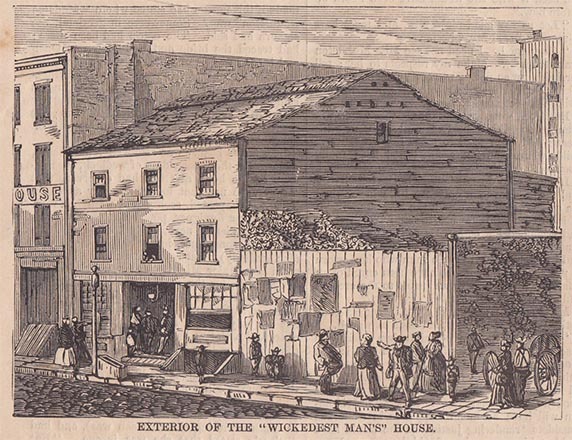 Once again proving that he was willing to do anything, he returned to James Street where he joined the staff of Tammany Hall’s Big Tom Foley, was elected President of the Ragpickers Union, and opened Vanella’s funeral chapel where he made it big burying the casualties of the roaring twenties. 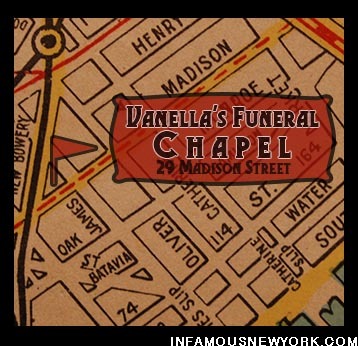 Vanella’s Funeral Chapel located at 29 Madison Street. John Torrio, the best man, well known in Chicago politics, came in a special [train] car, bringing a party of fifty with him. 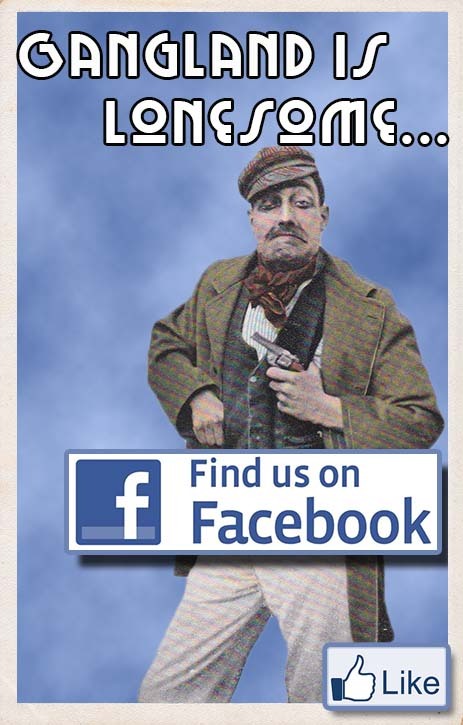 One can only imagine the identities of Torrio’s fifty associates. Click to read the full story of Vanella’s wedding. 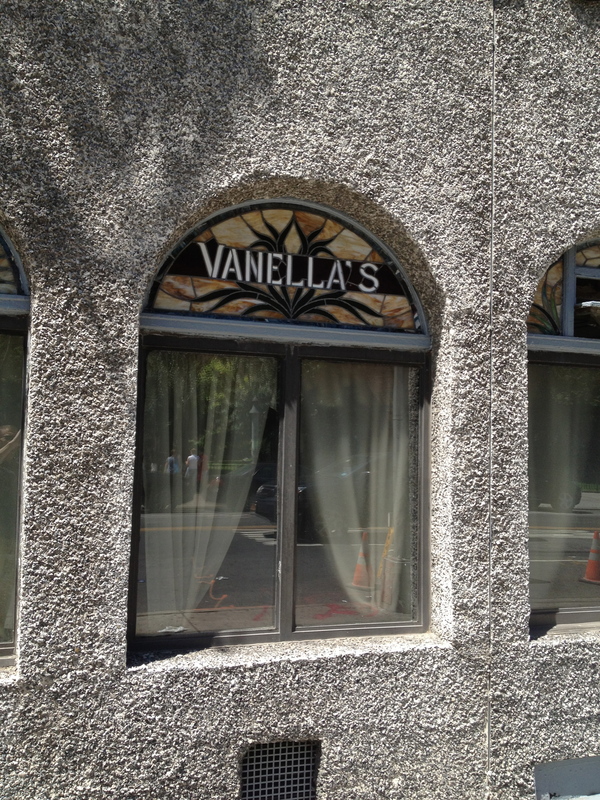 If anyone else has any info on Vanella, I’d love to hear it.